Alright, here's my attempt at creating an "armory"
After participating in Operation Bulldog, which led to the destruction of all Clan Smoke Jaguar elements in the Inner Sphere, Clan Wolf-in-Exile returned to the task of rebuilding their society. The rebuilding plan, codenamed "Project Chihuahua", not only involved improving their trade ties and infrastructure, but also the creation of five flagship Omnimech designs that would not only provide replacements for material losses, but also to provide a morale boost for the exiled Warden faction. Progress for creating the designs was expected to be slow; however, by winning a key Trial of Possession against Clan Ghost Bear for the contents of one of Ghost Bear "ark" ships, in which included prefab buildings and equipment for building factory complexes, the Exiled Wolves were able to speed up the design process. The first of these Omnimech designs that was created under the “Project Chihuahua” banner was the 40-ton Warhound, which made its debut in mid-3061. Based on the venerable Coyotl Omnimech, the Warhound is capable of fulfilling many roles, as it is fast enough to keep up with most light ‘mechs, while still capable of carrying a formidable amount of weapons and equipment. In early 3062, the Exiled Wolves unveiled the 70-ton Olcan, the second Omnimech created under the “Project Chihuahua” banner. Just like the Warhound, the Olcan was based off pre-existing design; in this case, the heavy ‘mech was based off the venerable Woodsman Omnimech. Just like the Warhound, the Olcan was intended one of Clan Wolf-in-Exile’s Totem ‘mechs. The year of 3062 proved to be a busy year for Clan Wolf-in-Exile, as prior to the year’s end, Clan Wolf-in-Exile introduced another Omnimech under the “Project Chihuahua” banner; a 50-ton version of the Linebacker known as the Linebacker III. The Omnimech was initially designed as a 60-ton version successor of the original Linebacker, but unexpected problems during testing forced Clan Wolf-in-Exile to redesign it as a medium-class Omnimech. 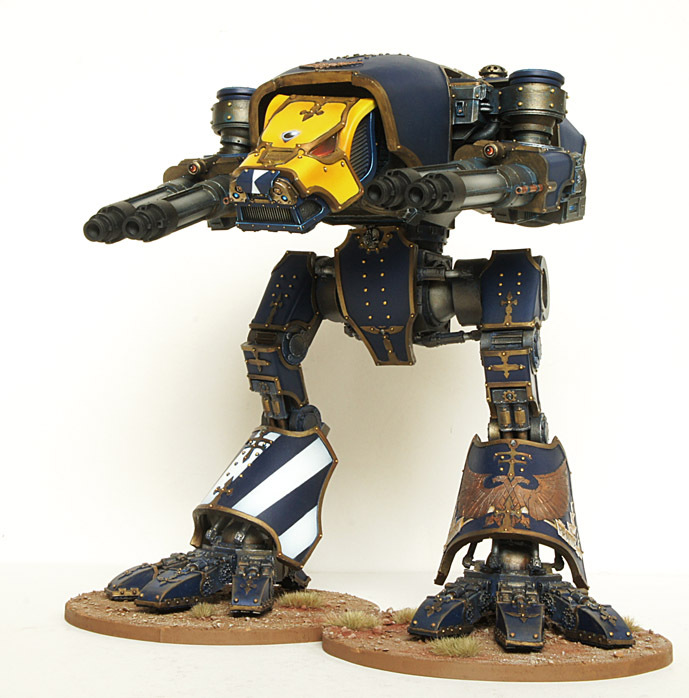 Within the Clan Wolf-in-Exile touman, the Linebacker III has become quite popular, with the 1st Wolf Legion Cluster having the highest number of the 50-ton ‘mech in their ranks. The year of 3063 was relatively quiet in contrast to the previous year, as Clan Wolf-in-Exile focused on preparing for possible hostilities against pro-Kathrina forces, while ensuring that their industrial base is not overextended to the point of unsustainability. However, the Exiled Wolves were still able to create another design for their “Project Chihuahua” rebuilding plan; a 35-ton Omnimech called the Chihuahua. Designed as the Exiled Wolves’ Totem light ‘mech, the Chihuahua was based off the Arctic Cheetah design, and shared the same engine type with Warhound, reducing industrial strain. While formidable in its own right, production of the Chihuahua whas more or less slowed to a trickle, as resources were directed for the more popular designs such as the Warhound and the Linebacker III. In the year of 3064, Clan Wolf-in-Exile revealed the final flagship ‘mech created under their “Project Chihuahua” rebuilding plan; a 100-ton Omnimech known as the Alces. Just like the Olcan, the Alces was based off the Woodsman, and as a result, was nearly called the Woodsman II. 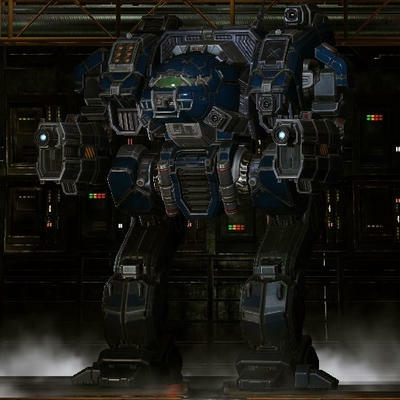 The Assault ‘mech is best described as the poor man’s Dire Wolf (unless you count the Lyran’s Hauptmann), using only Endo-Steel as part of the design to save weight.